Get to know the LA rap group that’s gone from trading verses in living rooms to performing sold out shows across the country in this mini-documentary. 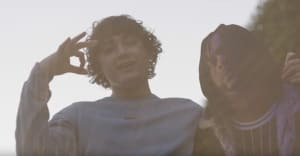 Ohgeesy, Rob Vicious, Fenix, and Master Kato have been grinding it out together for years, struggling to make ends meet, and now they're finally starting to see their efforts pay off as Shoreline Mafia. In The FADER mini-documentary, in partnership with WAV Media, producer Ron-Ron narrates the group's come-up from humble beginnings to the crest of today's wave of hip-hop. Ron-Ron also breaks down the ethnic and personality diversity in the group, which lends to the group's appeal across all boards. The doc also offers personal moments like Ohgeesy picking out some new jewelry for his baby as well as fans giving them props outside of a taco truck.